No one knows exactly when the art of rug weaving began, but primitive forms can be traced back to as early as 7000 B.C. Since then, the art has taken many different forms, with some of the world’s most popular techniques and designs emerging from what is now the country of Turkey. 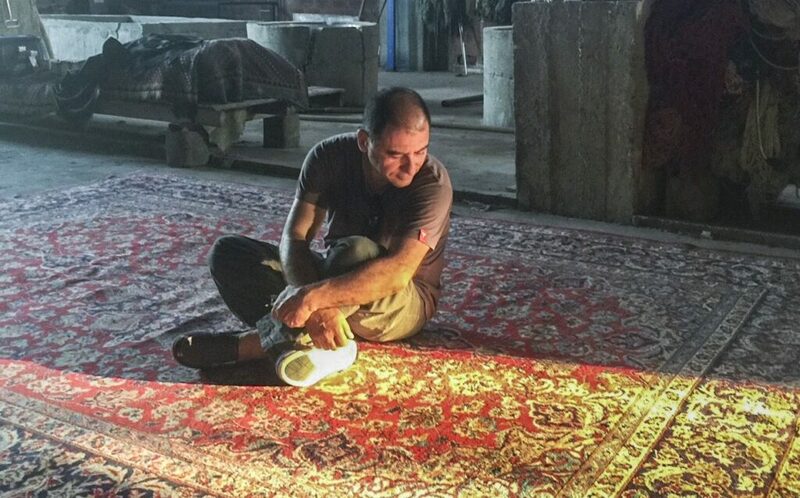 We spoke with Alp, the third-generation owner of Asia Minor Carpets to learn more about this ancient art and preview the rug event he will be hosting at Dwell Home Furnishings on May 5th and 6th. All the rugs on display at this event will be made or curated by you and your company, Asia Minor Carpets. Tell me about your company and what you do. My grandfather began the business in Turkey and it has been going on for three generations, but I am the first to begin doing business here in the United States. I studied International Trade at the University of Michigan, but it wasn’t until I took art and art history classes that I truly realized what we have at Asia Minor Carpets. My professors would conduct lectures about the very artwork we were creating. I opened my first 800-square foot showroom in New York City in 1983 and it just took off from there. We were in New York for thirty years, but for the last six years, we’ve been in Vermont. Wholesaling was just too difficult in New York City. Trucks…forget about it, so I brought the company into the mountains. I began designing new rugs for the American market using different sizes, colors, and designs, and because of this I received six awards at the international rug show in Atlanta. Tell me a little bit about some of the different kinds of rugs you’re going to have on display at the event. This is only my second event, personally and I want to do it right. As a manufacturer and wholesaler, I don’t often get to interact with consumers. I’m very excited that potential buyers and enthusiasts will be able to interact with my work firsthand. We’ll have mostly Turkish rugs, some of them original or vintage pieces. 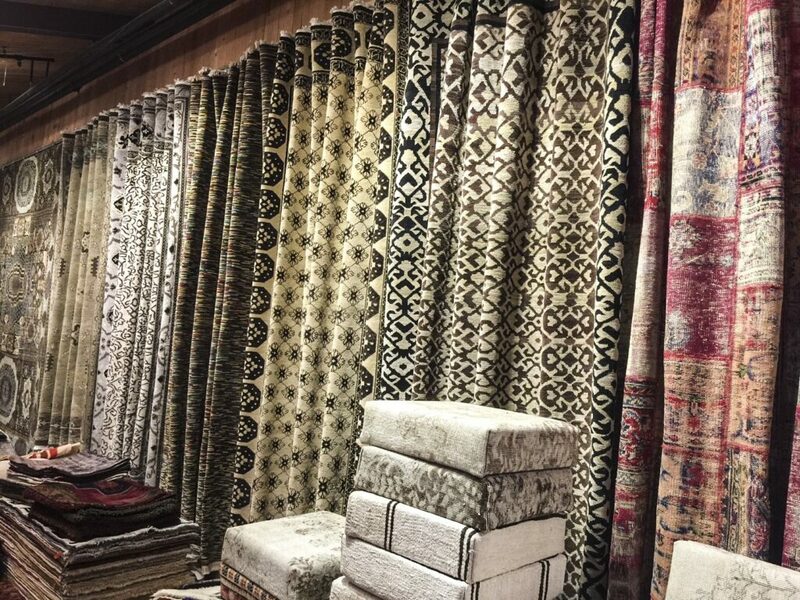 My company cares a lot about sustainability so we buy old vintage rugs from villages as well as some urban locations in Turkey. From there it goes to our plant where—depending on the structural integrity—I examine them, shear them, hand-distress them, and strip the color to re-dye. When the rugs are damaged or have other issues, we cut them into panels and sew different panels together by hand with baseball stitching and back them, creating a kind of sculpture. Old becomes new and old tradition becomes a modern look. All our original work is made with hand-spun, locally-sourced Turkish wool and vegetable dyes. Red comes from madder root, yellow comes from sun-dried daisy flowers, browns come from walnut shell that we grind into powder, apricot tree leaves give us an acidic yellow-green, blues are mineral indigo and the rest come from stone powder dyes. Asia Minor is now sponsoring refugees in Turkey, mostly mothers, children, and the elderly. We have about 50 weavers now. It takes years to train people, so we will not have many of their pieces on display because they can’t yet produce a lot. Out of the nearly 50 refugees we employ, only about 15 of them can weave with our other master weavers. It’s like playing music. Weaving is also therapeutic for them; they all have trauma. We mix our local Turkish weavers with them in the workshop so they can socialize with other artisans and get relief from that pressure and trauma. They can also work with their young children by their side. 4 or 5 rugs of theirs will be on display at the event. In addition to the patchwork and refugee pieces, there will be some vintage rugs, a few antiques, tribal pieces, flat-woven rugs, and some originals that we build from scratch. 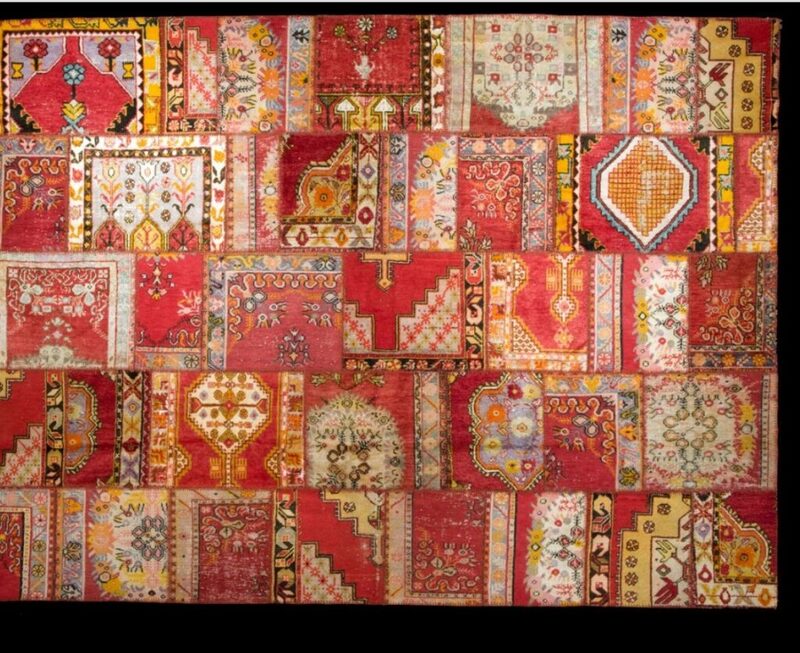 There will be some modern pieces as well as rugs made by Nepalese weavers. These feature a unique texture, bringing some diversity to the show. 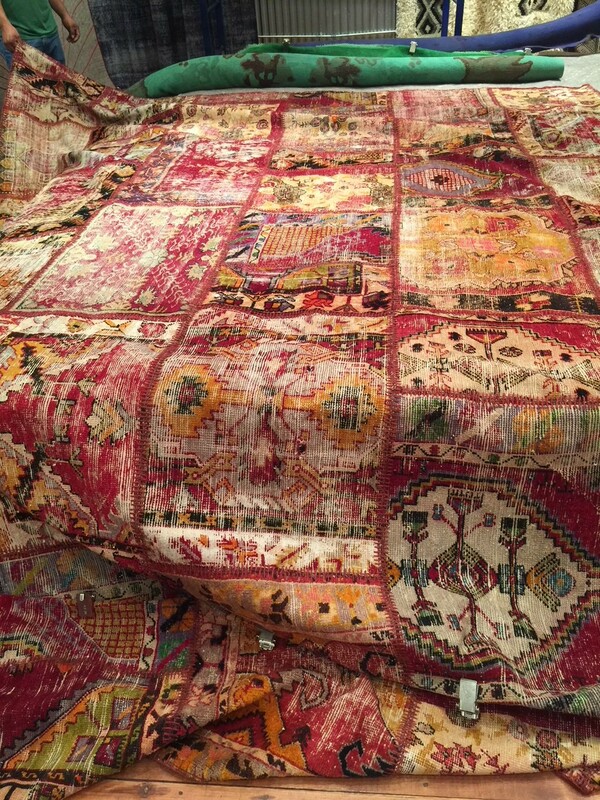 In retail value, I’ll be bringing over $1.5 million worth of rugs to Dwell Home Furnishings. Each rug has a story and I will be talking to people at the event about why the panels are designed the way they are, where the color comes from, etc. Asia minor is part of Mesopotamia—the beginning of civilization. We still have that influence; the way we cook, the way we weave, our sustainable lifestyles, all that is still happening there and I like to bring that out in our work. What if someone can’t make the event, but is interested in your work? We have a retailer website that a Dwell designer can use to order something through us. I also plan to leave some merchandise behind after the event. We also will do custom work. 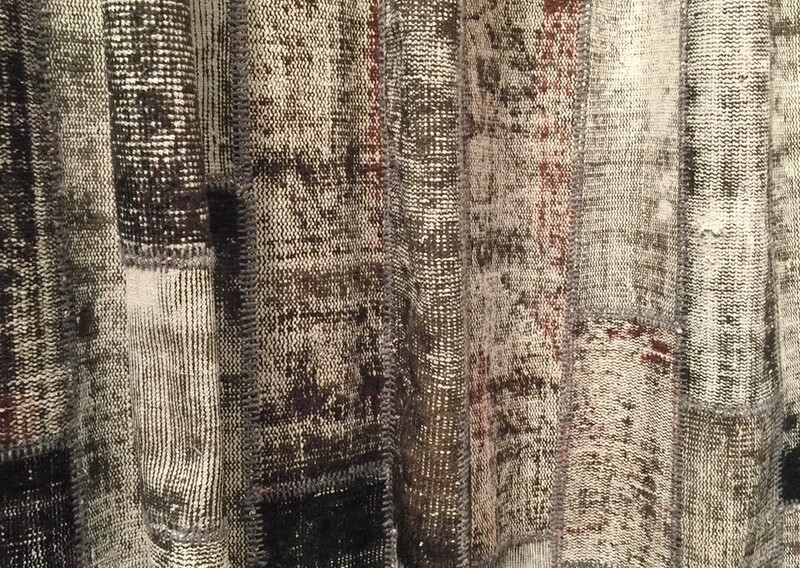 If you like something, but need it in a different size or if you like the size and texture but wish for a different color or design, we are happy to do a custom weave. What made you decide to host this big event at Dwell Home Furnishings? Financially, what I’m doing doesn’t make any sense, but I’m doing it because I love it. We buy the wool, spin it by hand, dye it by hand with natural dyes, then it goes into the looms for weaving, then it comes here to our warehouse, then it goes to trade shows. You don’t sell everything you weave at the shows, and the money turns around in two to three years. People tell me to buy machines or get into a different business, but then the spirit is gone. You must have passion. Dwell Home Furnishings values this. Few retailers appreciate good work. Dwell Home Furnishings understands and appreciates what I’m doing—I can see the energy and love that flows through their showroom.